Size 11 Gunmetal Opaque Demi Round Toho Japanese Seed Beads, 11 grams, 2-1/2 inch tube, approx. 2,057 beads. 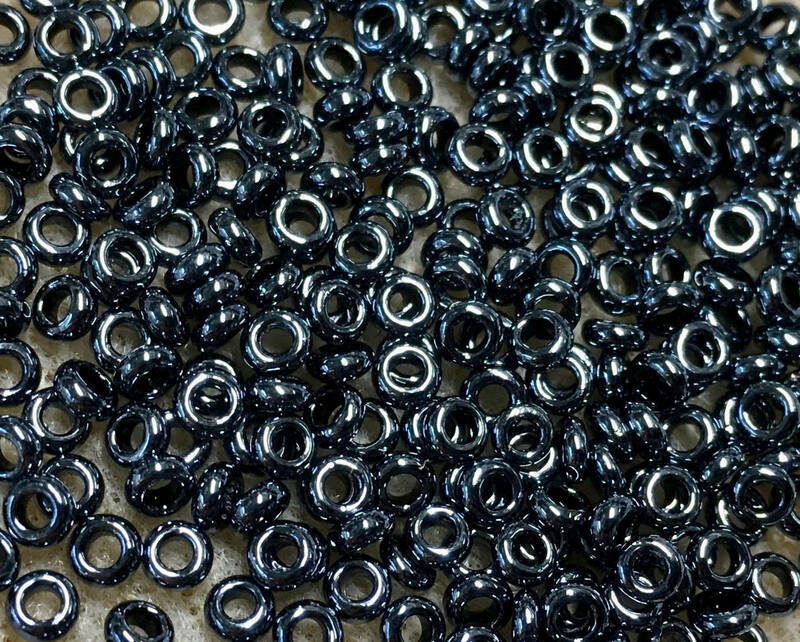 11/0 Demi Round seed beads have same hole size and diameter of regular round Toho seed beads, but are almost 50% thinner. Size of bead is approx. 2.2mm x .9mm. Hole size is about .6mm (The holes fit wire or stringing material up to 22 gauge (.025" / 0.644mm) thick). Perfect for detailed bead weaving designs.